Thank you. Thank you to our amazing community. Thank you to our amazing Coaches. Thank you to our families. Thank you all for believing in us and for staying with us during this year full of challenges. Thank you for the help and support during our move. Thank you for everything! Awesome new place, good job Berrys!! Congratulations Nicole and Breck. 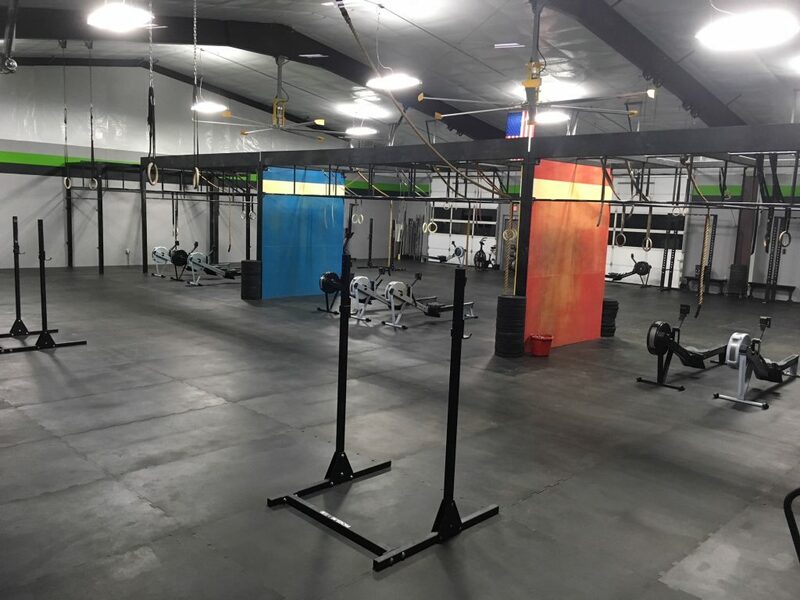 What a fantastic new gym! Love it! Great to be in the new gym!! Congrats again Breck and Nicole on ur beautiful new place! I think its safe to say everyone LOVES it! HSPU 6,5,4,4 held locked out for 20sec after reaching failure each set. The new gym looks great! Dawson came with me today to be in the first kid in the kids area (besides Harper and Berlyn). Congratulations Breck & Nicole! Congrats on the new location! Breck & Nicole – the new place is fantastic! The new place is awesome!! Congrats Breck & Nicole!! Thank you for all the great compliments! I hope everyone enjoys/suffers in it for many workouts! Love the new gym! Congratulations to Breck and Nicole! They have worked do hard! So proud of them! And as Nicole posted, what an awesome Crossfit community!! !